Street Fighter V players noticed something strange happening during their online matches on the afternoon of July 22. Instead of appearing near their real-world locations on the Capcom Fighters Network map (a platform that ensures competitors match up with opponents in their general vicinity), they were being placed west of Africa, smack dab in the Atlantic Ocean. As the weekend transitioned to the work week, more and more players began to realize Street Fighter V wasn’t properly recognizing where they were on the globe. The issue affected competitors in various parts of the United States, as well as a few in Canada, Brazil, and Japan. Due to being whisked away to this remote location, these players were no longer able to consistently connect with online opponents. Why were these players being exiled to the African coast? Had they angered the Street Fighter gods? Was someone at Capcom playing a prank on them? The answer, it seems, revolves around a location known as Null Island. Null Island is the spot on Earth where the equator and prime meridian meet, otherwise known as 0°N 0°E in terms of latitude and longitude. According to a 2016 report by Tim St. Onge for Atlas Obscura, geographic information systems point to this location (or Null, Null, hence the name) when errors occur during geocoding, the process of turning addresses into global coordinates. After becoming a thing sometime in 2011, fans have created a flag and backstory to accompany the fictitious landmass. Due to its reliance on geocoding to determine where Street Fighter V players are located, Capcom Fighters Network can fall prey to these same errors. 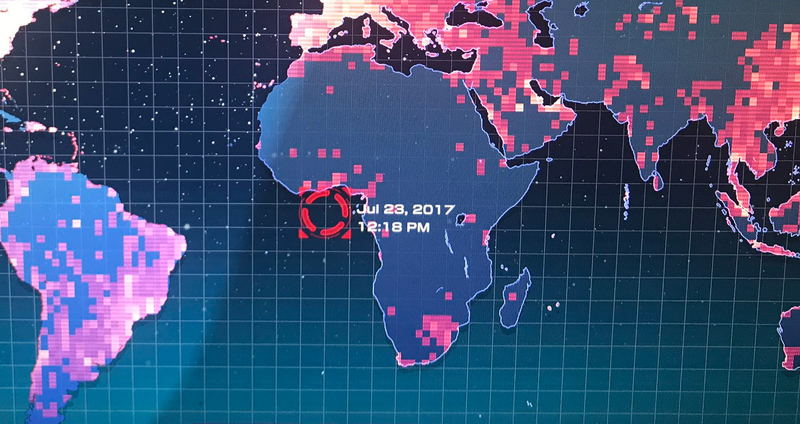 Before the issue became widespread earlier this week, Reddit and Steam posters mentioned being placed near Africa on the network map just a few days after the game’s launch in February 2016. These issues seem to clear up on their own, but can greatly stifle a player’s online experience. Compete reached out to Capcom concerning these Null Island exiles, but we’ve yet to receive an official response. Street Fighter V’s server maintenance period on Tuesday apparently cleared up this latest round of geocoding errors, as two of the affected players have already returned to their home countries, but there’s no telling when it will strike again. Let’s just hope Null Island’s future visitors are fans of weather buoys.